Romancing The Planet is targeted towards first time and experienced travelers who are looking for information about travel destinations. This site features destinations, travel guides, cultural guides, photos and travel tips. I have written articles for various travel blogs and publications. I am available for writing on various subjects on traveling. In terms of standards, you are assured of high quality and unique content. I have been working as a freelance writer for two years now. My audience includes a wide range of people with different demographics but similar interest of traveling. I am ready to partner to promote your business as long as it is related to our niche. I also manage plenty of other travel blogs which are open for partnerships. Contact me for the list of other blogs I manage. 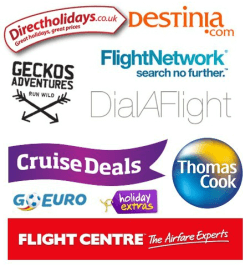 Travel brands I have worked with. Clients that advertised/worked with Romancing The Planet – All Day Internet in Spain, Asian Paints, Attraction Tickets Direct, Blue Man Group, Bupa, Cheap First Class, Choice Hotels, City Pass, City Wonders, ClearTrip, Corporate Traveller, Cosmos, Cover More, Direct Car Excess, Discountrue, Drive Now, FCM Travel, First Choice, Flights.com, Holiday IQ, House of Travel, India Unbound, Inspirock, Luggage Direct, Make My Trip, Malta Lingua, Me Tripping, My Adventure Store, My Holiday Centre, Pinetrees, Rajasthan Tourism, Savaari, Send My Bag, Sundance Helicopters, Sunset Safaris, Super Claim, The Adventuredome, The Pointer, The Trans-Siberian Travel Company, Think Hotels, Thomas Cook, Traveloka, Uga Resorts, Urban Ladder, Vegas! The Show, Venture Fiji, WebJet Australia, Wild Craft, etc. Hotels that invited me for a media stay – Jetwing Hotels, Heaven Seven, Mango House, Gimanhala, Quickshaws, Citrus, Colombo Courtyard, The Hilton Colombo, Amaloh, Lantern, Hotel Norbuling, Rema Resort, Termalinca Resort & Spa, Hotel Druk, Campbell House, Cititel Penang, Spices, The Sterling Hotel, The Settlement Hotel Melaka, Hollywood Angkor Resort, Shinta Mani, Rambutan, Daisy Resort, Java Wooden Villa, Seasons d’ Angkor Villa, Tresor d’ Angkor Villa, Eternity Boutique Hotel, Hotel Empress Zoe, Room Mate Karem, Walton Hotels, Westgate Ximending, amba Songshan, Heritance Hotels, UTMT, Turyaa, The Hill Station Boutique Hotel, Bali Dynasty Resort, The Golden Tulip Devins, Sun & Moon Urban Hotel, TEAV Hotels, Model Angkor Resort, Almond Bassac Hotel, Angkor Palace Resort, The Green House Hotel, The Tea Bunglow, STARA, etc. We use Cloud Flare services, so the stats do not including bots, spam, proxy servers and malicious traffic. If you are interested in any of the above please contact me or fill in the form below.